Canvas wall graphics are an affordable and versatile way to decorate your office. Most commonly stretched on wooden frames, canvas wall graphics are lightweight, easy to hang, and durable. You can also print just about anything on canvas, which makes it a perfect option for decorating your office the way you want. Whether you are the artistic type or a family person, we know there is a graphic or image you would love to print on canvas and display for everyone to enjoy. Here are some ideas for canvas wall graphics to use in your office. Custom printed wall graphics are the perfect way to display your photography skills in your office or studio. Whether you are a professional photographer or someone who dabbles in the trade as a hobby, you should proudly display your art. 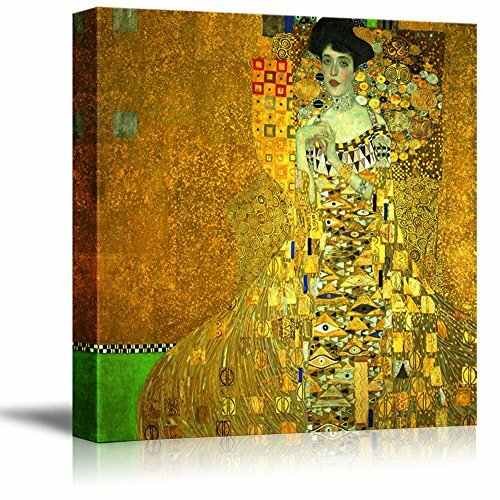 Stretched canvas wall prints are ideal for gallery showings of any size or subject. The real Starry Night by Vincent Van Gogh can only be at one place at a time, but there is no reason for you to deny yourself a daily view of your favorite painting. Get the art pieces you love printing on canvas and hang it in your office to show clients how cultured and worldly you are. Famous artworks are an ideal conversation starter for a savvy account man. Family portraits are not just for the mantle. Order a canvas wall print of your most recent family photo to show off what you are most proud of. Nothing is more enduring than a businessman or woman that loves their family. Clients will also feel closer to you when they feel think they know who you are. Displaying your family portrait tells them that you are a family person who has a heart and understands compassion. If you are going for a more dramatic or artistic feel, consider having your desired image printed on multiple canvases. Printing on canvas of different sizes and arranging them in a dynamic or abstract manner creates intensity and intrigue. It also allows you to cover a larger area is a more creative way. Canvas wall graphics are a cheap and durable option for printing the designs you want to decorate your office space. Almost any image you desire can be printed on a canvas sheet and displayed in a clean way without purchasing an expensive picture frame or drilling heavy duty screws in your walls. Whether you work in a business office, medical office, historic building or restaurant, canvas wall prints are the perfect way to add color and design to spaces customers commonly visit. Request a quote from Florida Graphic Services to have your images printed on the ideal size canvas for your office space.